We're having dinner with friends tonight, and I suggested that I bring dessert. I'm trying something new (for me) - making tarts! I made up a batch of pie crust and cut big circles out to fit into a well greased muffin pan. 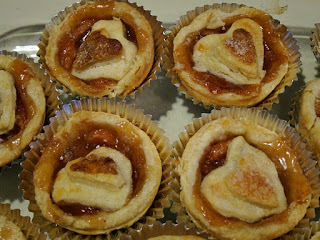 Then I added my apple pie filling - one pint was perfect for 12 tarts. I dotted each tart with a little butter. 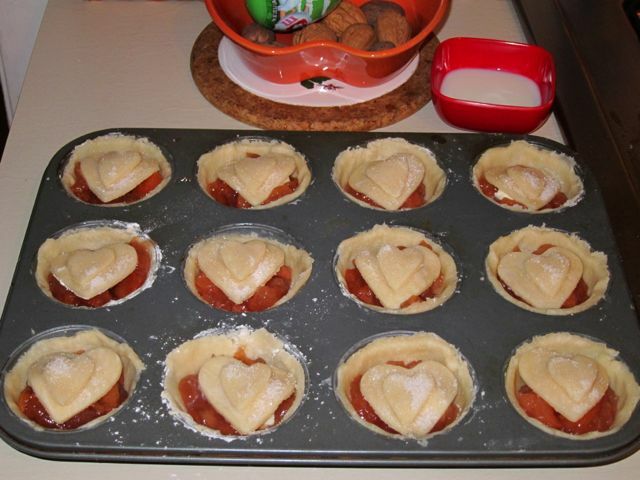 Lastly, I rolled out more crust and cut out hearts, using milk to make them stick together. Sprinkle a little sugar on the tops and they're good to go! 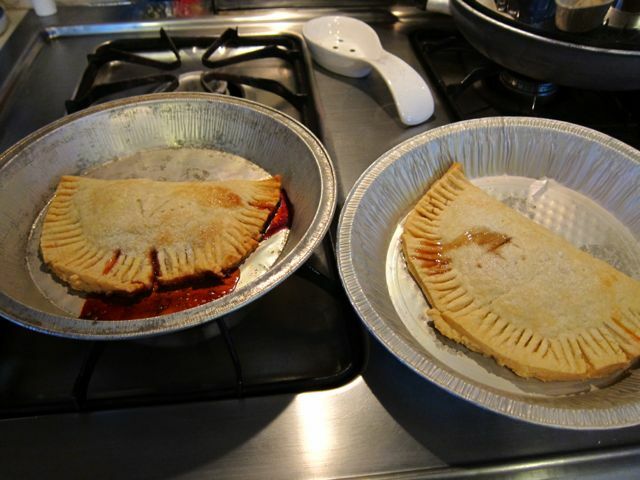 These were baked for 10 minutes at 425 degrees and then for almost 20 minutes at 375. I let them cool for 10 minutes and then took them out of the muffin tin. Thanks to the very generous greasing of the tin with butter, they came out easily but, since some were more fragile than others (likely due to the thickness of the crust in the first place) I put them all into muffin cups just to protect them. The crumbs of crust were so amazingly short and yummy, I can almost not wait until this evening to eat one! I'll bet my kids will have the same problem. 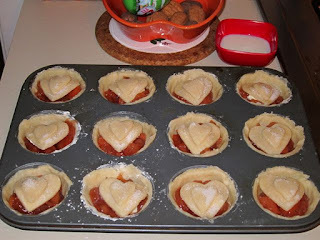 These do look yummy, and I'm glad to see the little "jammy tarts" for the kids! Familiar! Hope they were as delicious as they look.